Dramatic piano-driven soul and uplifting lyrics make Logic and Ryan Tedder’s “One Day” a very enjoyable listen. Good as gospel and gospel as all get out, “One Day” sounds like a sunny day after weeks of rain. Logic is good for giving us songs to feel good to. This one’s a solid new example of that. You know positivity’s on the menu when “…we do it for the children” is stated outright. In “One Day” he’s calling out classless class-acts in the industry (no names). Refreshing. Rhythmically, “One Day” is a shuffle of a beat bounced over mid-high keys. Intermittent bass rumble and ambient synths at far-reaches of the mix lace it all together with sparse elegance. The result is pretty retro in feel; something like N.W.A.’s “Express Yourself”, but less walking bass and way more piano power. Overall, “One Day” is full of heart, and it’s in the right place too. Palpable positivity and solid gospel groove give this one a good rating in my book. I definitely felt it. How about you? 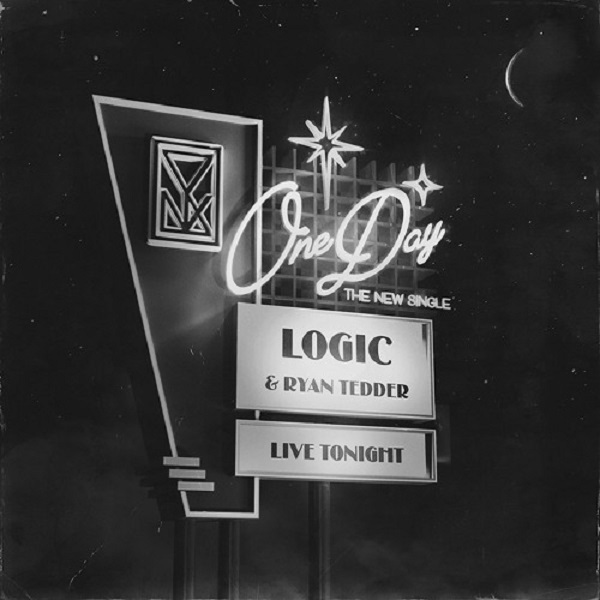 Dramatic piano-driven soul and uplifting lyrics make Logic and Ryan Tedder's "One Day" a very enjoyable listen.